A lot of people these days face difficulties in using the stairs due to aging, physical disabilities, and moving problems. Sometimes, they may encounter injuries and accidents resulting in several problems. A chairlift is mainly meant for those who use wheel-chair in a home. 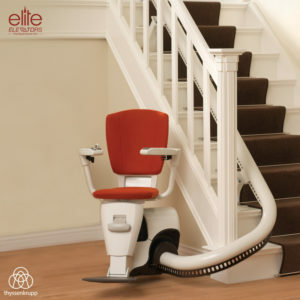 On the other hand, a stair lift is a suitable one for carrying aged people safely to avoid risks. It is essential to analyze the difference between the two before buying a new one. As technologies are progressing day by day, many lift manufacturing companies aim at fulfilling the needs of needs with advanced applications. Thyssenkrupp chairlift is a suitable one for the modern lifestyle because it comes with the latest features. Another thing is that it provides ways for accessing and reaching a floor in quick turnaround time. Moreover, the chairlift is available with sophisticated designs to carry wheelchair users without any difficulties. 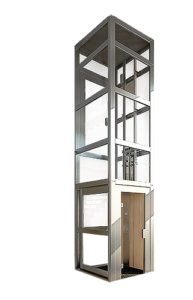 The lift is a popular one in various parts of the world due to its compact size and other factors. Anyone who wants to buy a new chairlift for their loved one should keep certain things in mind for making the purchase a valuable one.Anyone who wants to buy a new chairlift for their loved one should keep certain things in mind for making the purchase a valuable one. • Chairlifts occupy a lot of space because they are bigger in size. Therefore, residential buildings must have enough rooms for operating the same with efficiency. • Size contributes more at the time of purchasing a new system. People should focus more on the sizes in order to accommodate a wheelchair user with high comforts. • The specifications of a chairlift in India may vary with a manufacturer and customers should compare them from different sources for making a right decision. Leading suppliers offer chairlifts for residential applications at the best prices and one can know more about the details of Chairlift Levant Chennai online to choose a right one depending on the needs. Modern chairlifts are an energy efficient and environmentally friendly one enabling the users to experience peace of mind. Free quotes are available for customers on request to book a system at affordable budgets.